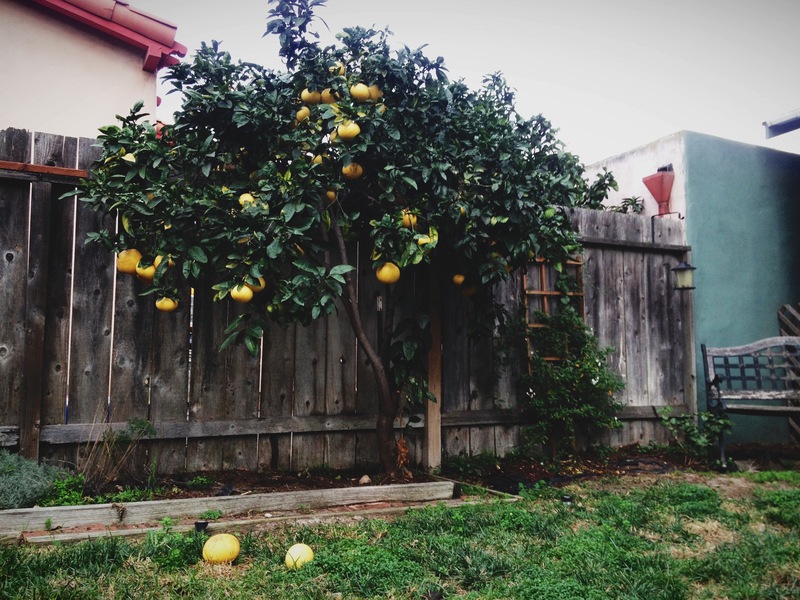 This is our grapefruit tree. It’s so lovely, but I can never figure out what to do with all that fruit. Other than give it away in bags to friends (who usually can’t figure out what to do with all that fruit). So I went on a Pinterest search, and here are some of the goodies I’m looking forward to trying. Don’t they sound delicious? Grapefruit, kale, & fennel salad. Grapefruit olive oil pound cake. bring some with you….are you planning a trip?